In gratitude for Catholic University’s hospitality during his April 17 visit to campus, Pope Benedict XVI presented Father O’Connell with several gifts. 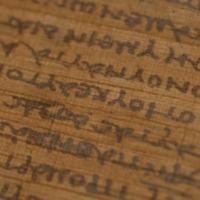 The most prominent gift was a museum-grade reproduction of the ancient Bodmer Papyrus VIII. 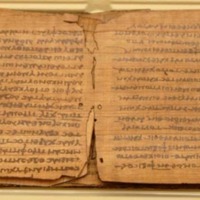 It is a facsimile of the oldest Greek manuscript of the Letters of St. Peter, which was once the final part of an ancient codex. The original document was written sometime in the third century, and it is stored in the Vatican Library. 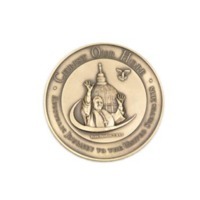 The Pope also presented a commemorative coin as a gift to Father O’Connell. 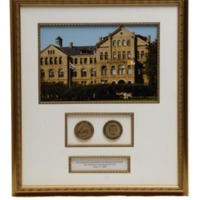 Pope Benedict XVI received several gifts from Father O’Connell, including a framed photograph of McMahon Hall, and a commemorative medal of the Pope’s visit. 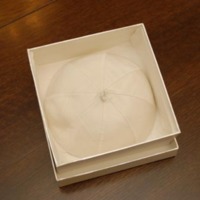 In addition, in a private meeting before the papal address, Father O’Connell presented the Holy Father with a white silk zucchetto, or skullcap. It is customary that if the Pope is presented with a new zucchetto at a scheduled at a scheduled meeting, he will exchange the one he is wearing for the one offered. 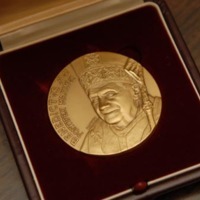 View images below relating to the gifts exchanged between Pope Benedict XVI and Catholic University. 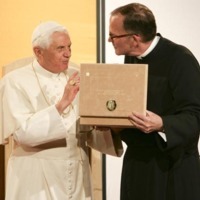 Pope Benedict XVI presented Father O’Connell with a museum-grade reproduction of the ancient Bodmer Papayrus VIII. 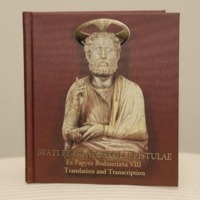 It is a facsimile of the oldest Greek manuscript of the Letters of St. Peter. The original document was written sometime in the third century and is stored in the Vatican Library.